Authorities are investigating following the overnight theft of rescue boat electronics in Middle River. 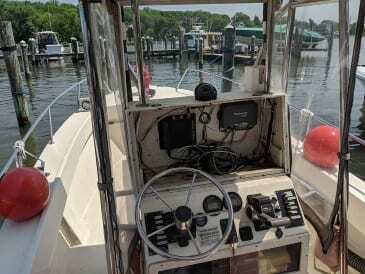 Marine Unit 217 remains out of service following the theft of all marine electronics and radio systems necessary to provide fire and rescue services to 90 square miles of the upper Chesapeake Bay. The Marine Emergency Team was notified of the incident at just after 10 a.m. on Tuesday. Several other vessels were also boarded by the suspects, who left with everything from yeti coolers to additional electronics. It is expected that insurance will pay for a portion of the loss but the non-profit volunteer marine team will be liable for the extra expense of returning the vessel to service. The estimated cost to replace Marine Unit 217’s electronics is upwards of $13,000. The unit will remain out of service until funding and equipment can be allocated to replace what was stolen. The incident is currently under investigation by the Baltimore County Police Marine Crimes Division.